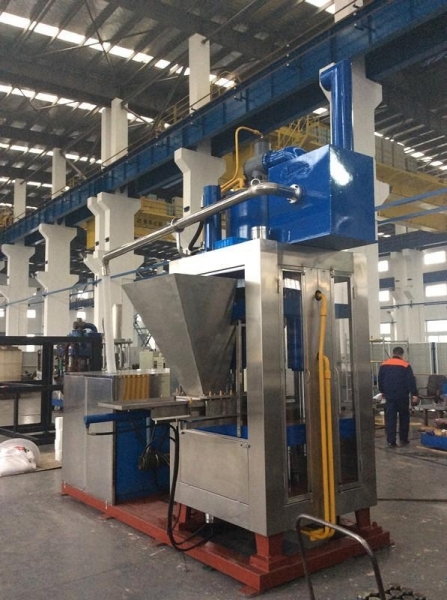 SYST-500Hydraulic tablet press machine is our factory newly developed automatic tablet press machine, which used to make tablet with different shapes from different materials in food,chemical industry,electronics,metallurgy etc. Such as Feed block, fertilizer tablets, livestock salt licking blocks and so on. 1. 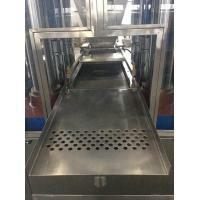 The whole machine is made of stainless steel, which can prevent from polutions. And the Work platform is clean enough so that we get the light demolition,internal cleaning convenience purposes. 2.Equipped with a transparent viewing window to enable operators can see the whole system working condition. positions can be dually operated by mechanical and electrical ways. All of the operations can be adjusted through the PLC to the best state. 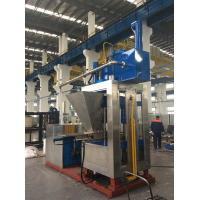 Therefore, the machine is quite easy to be operated, can work stably, safely and accurately. 4. The hydraulic components are equipped inside of the machine and independent to prevent the damage from outside, pollution-free, easy released the heat also and The control panel can be designed to demonstrate in different foreign languages. Changzhou JiuYaJiu Tablet Machinery Manufacturing Co., Ltd located in a beautiful scenery city. It is about one hour driving from Nanjing airport, it is about three hours way from Shanghai Pudong international airport by car. The location is superior, the transportation is convenient, the transportation condition is so good. Our company covers an area of more than 30,000 square meters, and our workshop have about more than 8000 square meters. We own 6 sets of large lifting equipments, the maximum lifting capacity is 64 tons, and the maximum lifting height is 9 meters. Our company have 6 million yuan fixed assets, and own circulating fund about 6 million yuan, Company registered capital is 5.18 million yuan. Our company employs around 80 workers, which including 20 design and technical personnel.